Live Nation combined forces with Co-op to welcome them as the official supermarket sponsor at Download, Reading & Leeds and Latitude. 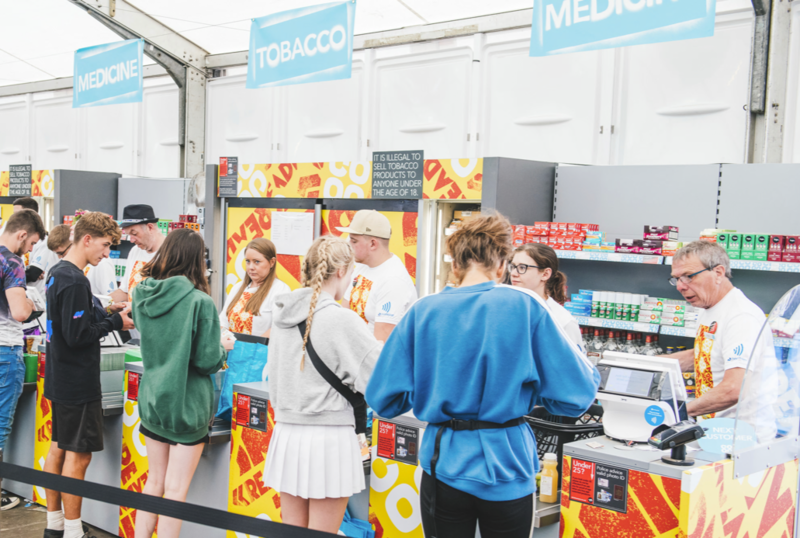 The Experiential team created a one stop shop for festival goers by erecting a pop up shop with a 30mx20m footprint in the campsites of the four festivals. Alongside the fully stocked store the UK’s first Deposit Return Scheme was in place which meant that attached to all plastic bottles was a deposit attached which when returned gifted the consumer with a voucher to be spent on site or in store. An added bonus for the festival shoppers was a DJ who delighted customers with club classics and a green screen for fans to engage with and feel like they were on the main stage!